If at first you don’t succeed, dust yourself off, fly across the Pacific, and try again! At least, that seems to be the plan over at Apple. On Wednesday, Judge Lucy Koh gave a court order rejecting Samsung’s request to check out the iPad 3 and the iPhone 5, but in her order we stumbled upon a tricky little passage. In that passage, Judge Koh hinted that she would not give Apple the preliminary injunction it’s hoping for. Now, two days later, Apple has taken its beef to South Korea where Samsung is headquartered, filing yet another lawsuit in the tangled web that is the Samsung-Apple copycat war. 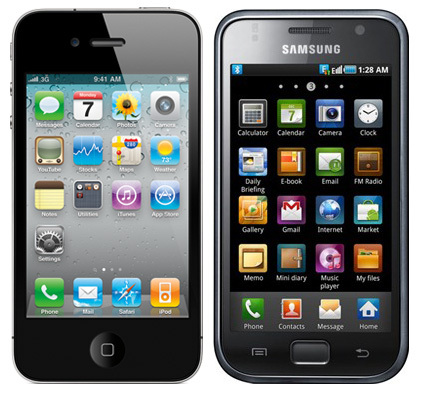 Apple claims that Samsung is infringing upon Apple patents with regards to the iPad, iPhone, and Samsung’s Galaxy line of phones and tablets. This follows Apple’s original filing back in April claiming that Samsung was in violation of seven patents regarding the way that the touchscreens on Galaxy tablets and phones interpret user gestures. These gestures include scrolling, selecting, and pinch-to-zoom. Apple also claimed that three design patents were infringed upon, including the flat, glossy black face of the iPad and iPhone. Obviously, there’s no telling how those private chit-chats are going, though Koh’s rejection of Samsung explicitly and Apple implicitly leads us to believe that this this shift over to Seoul is just one more battle in what we expect to be long war.